Taylors Late Bottled Vintage Port Taylor's created the Late Bottled Vintage style of port and is not only acknowledged to be its finest producer but remains the international brand leader. Blended from wines of a single year LBV ages from four to six years in cask and is ready to drink when bottled. Its concentrated fruity flavor and firm full-bodied style make Taylor's LBV the perfect port to accompany chocolate desserts and blue cheeses such as Stilton or Roquefort. 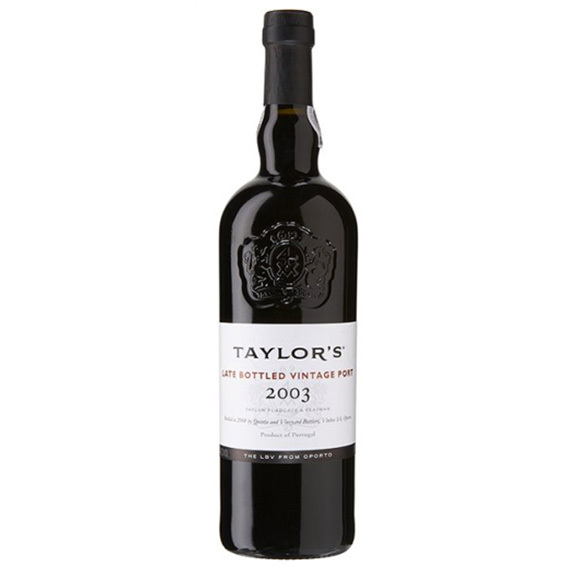 Taylor's Late Bottled Vintage is the port that Taylor's drink themselves and serve to their guests. Experienced port drinkers may well notice some similarities with Taylor's Vintage Ports since it shares so many of their characteristics.